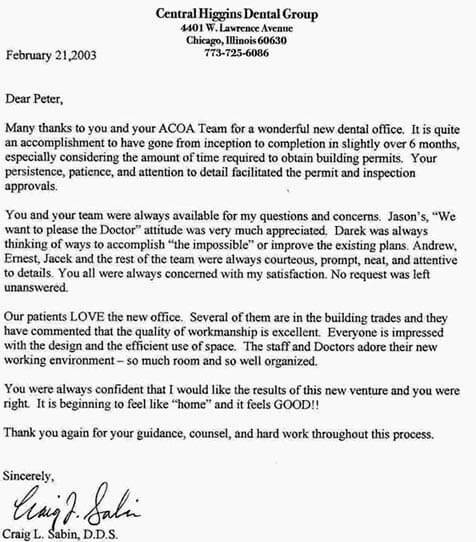 "Our patients LOVE the new office. Several of them are in the building trades and they have commented that the quality of workmanship is excellent. Everyone is impressed with the design and the efficient use of space. The staff and Doctors adore their new working environment ��� so much room and so well organized."